That the Messenger of Allah (صلى الله عليه وعلى آله وسلم) said: “Whoever fasts three days in every month, that is fasting for a lifetime.” Then, in testimony of that, Allah revealed: “Whoever brings a good deed shall have ten time the like thereof to his credit.” [6:160] So one day is equivalent to ten (in reward). That the Messenger of Allah (صلى الله عليه وعلى آله وسلم) said: “Allah, Blessed and Most High, has said – and His saying is the Truth: ‘When My slave considers doing something good then write it as one good for him. If he acts upon it then write ten of the same for him. And when he considers doing something evil, then do not write it. If he acts upon it, then write it. If he leaves it” – and perhaps he said: “if he does not act upon it, then write a good reward for him. '” Then he [the Prophet (صلى الله عليه وعلى آله وسلم)] recited: Whoever comes with a good, then he shall have ten the like thereof (6:160). To me from Malik that the best of what he had heard about horses, mules, and donkeys was that they were not eaten because Allah, the Blessed, the Exalted,said, “And horses, and mules and asses, for you to ride, and as an adornment. ” (Sura 16 ayat 8) . He said, may He be Blessed and Exalted, “In cattle, some of them you ride, and some of them you eat.” (Sura 6 ayat 79). He said, the Blessed, the Exalted, “Mention Allah’s name over what He has provided you of cattle, and eat of them and feed the beggar (al-qani) and the suppliant (al-mutarr). (Sura 22 ayat 34). The daughter of ‘Uthman b. ‘Affan died in Mecca. We came to attend her (funeral). Ibn ‘Umar and Ibn ‘Abbas were also present there, and I was sitting between them. He added: I (first sat) by the side of one of them, then the other one came and he sat by my side. ‘Abdullah b. ‘Umar said to ‘Amr b. ‘Uthman who was sitting opposite to him: Will you not prevent the people from lamenting, for the Messenger of Allah (صلى الله عليه وعلى آله وسلم) had said:” The dead is punished because of the lamenting of his family for him”? Ibn ‘Abbas then said that Umar used to say someting of that nature, and then narrated saying: I proceeded from Mecca along with ‘Umar till we reached al-Baida’ and there was a party of riders under the shade of a tree. He said (to me): Go and find out who this party is. I cast a glance and there was Suhaib (in that party). So I informed him (‘Umar) about it. He said: Call him to me. So I went back to Suhaib and said: Go and meet the Commander of the believers. When ‘Umar was wounded, Suhaib came walling: Alas, for the brother! alas for the companion! ‘Umar said: O Suhaib, do you wail for me, whereas the Messenger of Allah (صلى الله عليه وعلى آله وسلم) said:” The dead would be punished on account of the lamentation of the (members of his family)”? Ibn ‘Abbas said: When ‘Umar died I made a mention of it to ‘A’isha. She said: May Allah have mercy upon ‘Umar! I swear by Allah that Allah’s Messenger (ﷺ) never said that Allah would punish the believer because of the weeping (of any one of the members of his family), but he said that Allah would increase the punishment of the unbeliever because of the weeping of his family over him. ‘A’isha said: The Qur’an is enough for you (when it states):” No bearer of burden will bear another’s burden” (vi. 164). Thereupon Ibn ‘Abbas said: Allah is He Who has caused laughter and weeping. Ibn Abu Mulaika said: By Allah, Ibn ‘Umar said nothing. He offered four rak’ahs of prayer and recited in them Surah al-Baqarah, Aal Imran, an-Nisa, al-Ma’idah, or al-An’am. I was resting at (the house of) ‘A’isha that she said: O Abu ‘A’isha (kunya of Masruq), there are three things, and he who affirmed even one of them fabricated the greatest lie against Allah. I asked that they were. She said: He who presumed that Muhammad (صلى الله عليه وعلى آله وسلم) saw his Lord (with his ocular vision) fabricated the greatest lie against Allah. I was reclining but then sat up and said: Mother of the Faithful, wait a bit and do not be in a haste. 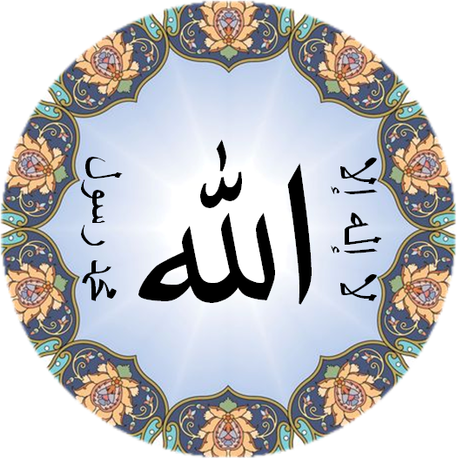 Has not Allah (Mighty and Majestic) said:” And truly he saw him on the clear horizon” (Al-Qur’an, Surat at-Takwir, 81:23) and” he saw Him in another descent” (Al-Qur’an, Surat Najm 53:13)? She said: I am the first of this Ummah who asked the Messenger of Allah (صلى الله عليه وعلى آله وسلم) about it, and he said: Verily he is Gabriel. I have never seen him in his original form in which he was created except on those two occasions (to which these verses refer); I saw him descending from the heaven and filling (the space) from the sky to the earth with the greatness of his bodily structure. She said: Have you not heard Allah saying: “Eyes comprehend Him not, but He comprehends (all) vision. and He is Subtle, and All-Aware” (Al-Qur’an, Surat al-An`am 6:103)? (She, i.e. ‘A’isha, further said): Have you not heard that, verily, Allah says: “And it is not for any human being that Allah should speak to him except by revelation or from behind a partition or that He sends a messenger to reveal, by His permission, what He wills. Indeed, He is Most High and Wise.” (Al-Qur’an, Surat ash-Shura, 42:51) She said: He who presumes that the Messenger of Allah (صلى الله عليه وعلى آله وسلم) concealed anything from the Book of Allah fabricates the greatest lie against Allah. Allah says: “O Messenger, announce that which has been revealed to you from your Lord, and if you do not, then you have not conveyed His message. And Allah will protect you from the people. Indeed, Allah does not guide the disbelieving people.” (Al-Qur’an, Surat al-Ma’idah, 5:67). She said: He who presumes that he would inform about what was going to happen tomorrow fabricates the greatest lie against Allah. And Allah says “Say, ‘None in the heavens and earth knows the unseen except Allah , and they do not perceive when they will be resurrected. '” (Al-Qur’an, Surat an-Naml, 27:65). That a man among the Companions of the the Prophet (صلى الله عليه وعلى آله وسلم) said: “When the Prophet (صلى الله عليه وعلى آله وسلم) commanded them to dig the trench (Al-Khandaq), there was a rock in their way preventing them from digging. The Messenger of Allah (صلى الله عليه وعلى آله وسلم) stood, picked up a pickaxe, put his Rida’ (upper garment) at the edge of the ditch and said: ‘And the Word of your Lord has been fulfilled in truth and in justice. None can change His Words. And He is the All-Hearer, the All-Knower.’  One-third of the rock broke off while Salman Al-Farisi was standing there watching, and there was a flash of light when the Messenger of Allah (صلى الله عليه وعلى آله وسلم) struck (the rock). Then he struck it again and said: ‘And the Word of your Lord has been fulfilled in truth and in justice. Nonce can change His Words. Ans He is the All-Hearer, the All-Knower’ And another third of the rock broke off and there was another flash of light, which Salman saw. Then he struck (the rock) a third time and said: ‘And the Word of your Lord has been fulfilled in truth and in justice. None can change His Words. And He is the All-Hearer, the All-Knower.’ The last third fell, and the Messenger of Allah (صلى الله عليه وعلى آله وسلم) came out, picked up his Rida’ and sat down. Salman said: ‘O Messenger of Allah, Each time you struck the rock there was a flash of light.’ The Messenger of Allah (صلى الله عليه وعلى آله وسلم) said to him: ‘O Salman, did you see that?’ He said: ‘Yes, by the One Who sent you with the truth, O Messenger of Allah.’ He said: ‘When I struck the first blow, the cities of Kisra and their environs were shown to me, and many other cities, and I saw them with my own eyes.’ Those of his Companions who were present said: ‘O Messenger of Allah, pray to Allah to grant us victory and to give us their land as spoils of war, and to destroy their lands at our hands.’ So the Messenger of Allah (ﷺ) prayed for that. (Then he said:) ‘Then I struck the second blow and the cities of Caesar and their environs were shown to me, and I saw them with my own eyes.’ They said: ‘O Messenger of Allah, pray to Allah to grant us victory and to give us their lands as spoils of war, and to destroy their lands at our hands.’ So the Messenger of Allah (صلى الله عليه وعلى آله وسلم) prayed for that. (Then he said:) ‘Then I struck the third blow and the cities of Ethiopia were shown to me, and the villages around them, and I saw them with my own eyes.’ But the Messenger of Allah (صلى الله عليه وعلى آله وسلم) said at that point: ‘Leave the Ethiopians alone so long as they leave you alone, and leave the Turks alone so long as they leave you alone. '”  An-An’am 6:115. The Prophet (صلى الله عليه وعلى آله وسلم) said: Three types of people attend Friday prayer; One is present in a frivolous way and that is all he gets from it; another comes with a supplication, Allah may grant or refuse his request as He wishes; another is present silently and quietly with-out stepping over a Muslim or annoying anyone, and that is an atonement for his sins till the next Friday and three days more, the reason being that Allah, the Exalted, says: “He who does a good deed will have ten times as much” (vi.160). That Nabi (صلى الله عليه وعلى آله وسلم) said: “Whoever reads the first three verses of Surah An’am when he reads Fajr Salah, forty thousand angels write down good deeds for him. One Angel with Iron spear will appear and stand guard between Heavens and Earth to safeguard the person from Shaytan, forcing the latter behind 70 veils. On the day of judgement Allah Ta’ala will say to him I am your Rabb and you are my slave, walk in my shade and drink from the pond of Kawthar, take a bath from Salsabil and enter Jannah without punishment and reckoning”. Through his chain of transmission narrates from Hazrat Anas ibn Malik radiyallahu anhu, saying that Rasoolullah (صلى الله عليه وعلى آله وسلم) has said, “Surah An’aam was revealed along with it were a host of angels covering both sides of the sky. They were singing praises and the Earth was shaking because of them.” and Rasoolullah (صلى الله عليه وعلى آله وسلم) was saying, “Glorified is my tremendous mighty Lord.” three times. That the commentators of the Qur’aan have said that the Torah was commenced with Alhamdu lillahilazee khalaqas samaawaati wal ardh (the first verse of Surah An’aam) and it has been terminated with verse Alhamdu lillahillazee lam yattakhiz waladaw walam yakul lahu shareekun fil mulki (the last verse of Surah Bani Israeel).